Household odors are a pain to get rid of, but believe it or not, you can actually remove odor with baking soda. Whether it’s a musty closet, persistent pet odor, or something else, most solutions only mask the smell. Covering up an unpleasant stench with the smell of flowers or sandalwood can only go so far. What you really want is something that can actually remove the particles that your sensory system detects as a nasty smell. This is where good old household sodium bicarbonate really excels. Specifically, it’s very good at removing odors caused by something that’s acidic. 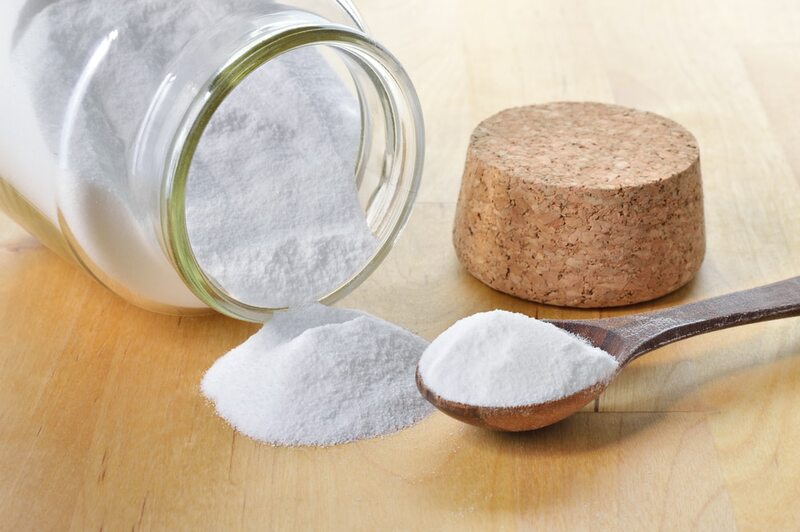 Baking soda is basic, meaning it can neutralize low pH levels in acidic compounds. Smells like sour food, cat litter, dirty clothes, and musty closets are absorbed into the baking soda and neutralized, leaving your air fresh and clean. When you remove odor with baking soda, you’re also avoiding the need for anything corrosive to household surfaces or irritating to your nose and lungs. These common household odors are no match for sodium bicarbonate’s stench-absorbing powers. 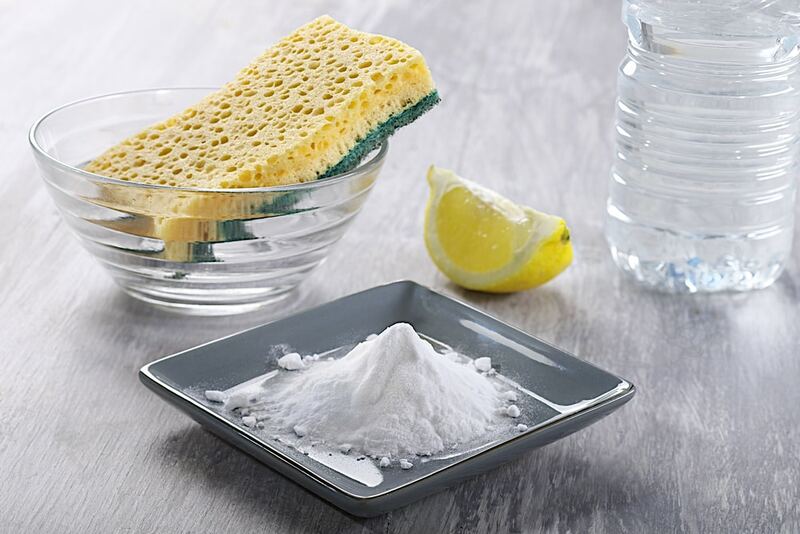 Here are some of the unexpected places where you can remove odor with baking soda. In addition to accommodating cats’ natural inclination to bury their waste, cat litter boxes have a telltale odor. Sometimes, you know someone owns a cat as soon as you walk into the front door. Along with the litter itself, cat boxes can also give off a pungent ammonia smell from your kitty’s urine. You can sprinkle a little bit of baking soda into your cat’s litter each time you clean it. This helps get rid of the unpleasant smells. A dishwasher’s purpose is to make things clean, so it seems odd that it might give off unpleasant smells. After all, it’s usually filled with hot water and scented detergents. But as you use your dishwasher, it can accumulate old food over time. The food material rots in the warm, moist environment, creating a really nasty odor. To get rid of it, you can actually put a cup of baking soda into it, then run it on a rinse cycle. You know that weird, nasty smell in your kitchen? You tried cleaning underneath everything, mopping the floors, cleaning out the fridge and the pantry — but it just won’t go away. Chances are, it’s coming from your sink drain or your garbage disposal. All kinds of nasty organic material gets trapped down there, where it can rot and give off nasty smells generated by bacteria. Baking soda absorbs those nasty odors, and washes away without clogging the pipes. Just put 2 tablespoons of baking soda in a cup of water, then nuke it in your microwave on high for three minutes. It might sound like a prank, but it really does work. Remove odor with baking soda by tossing a handful inside your compost bin. Get rid of that weird burning smell by scrubbing your oven with baking soda and water. ½ cup of baking soda and a few tablespoons of water create a paste you can put on the surfaces overnight. Hesitant to throw out that high quality tupperware that had forgotten moldy pasta sauce in it? Just soak and scrub it in a mixture of hot water and baking soda. Fish is delicious, but while it’s still raw, it’s kind of smelly. Before cooking it, you can soak it in a quart of water with a couple of tablespoons of baking soda. Shoes get pretty smelly, especially running shoes. Just sprinkle a tiny bit of baking soda inside, and the foot smell goes away. Your vacuum picks up some pretty nasty stuff, and after a while, it can start giving off a nasty smell. To remove odor with baking soda, just sprinkle a little bit on your carpet and let it sit for an hour. Then, vacuum it up. If you’re looking for a fast, cheap, easy solution to household stenches, just remove odor with baking soda. This versatile household substance never ceases to amaze, and it does a great job at absorbing odors. It’s cheap, versatile, and multipurpose, making it one of the best household cleaners around.